Having done the four famous offroad Alpine routes, it was time to go on with the Route des Grandes Alpes. I only had about 260km to go, so it looked very doable in one day, even taking it easy. The element I had not factored in was the weather, though. So far I had been very lucky, but as I was finishing packing up and loading the bike under a lead sky, I heard the rumble of thunder coming up the valley. I was going to join Harald for breakfast before setting off, and by the time I parked the bike next to the bar it started raining hard, so we sat patiently sipping our coffees, waiting for the storm to pass. Harald said that, on account of the weather, he was going to stay for an extra day, but I had to ride in the direction the sky was darkest. The weather radar on the France Méteo app (very handy!) showed that the storm was indeed moving in the same direction I had to go, but it was advancing fast, so we guessed that in an hour or so it would have passed completely. 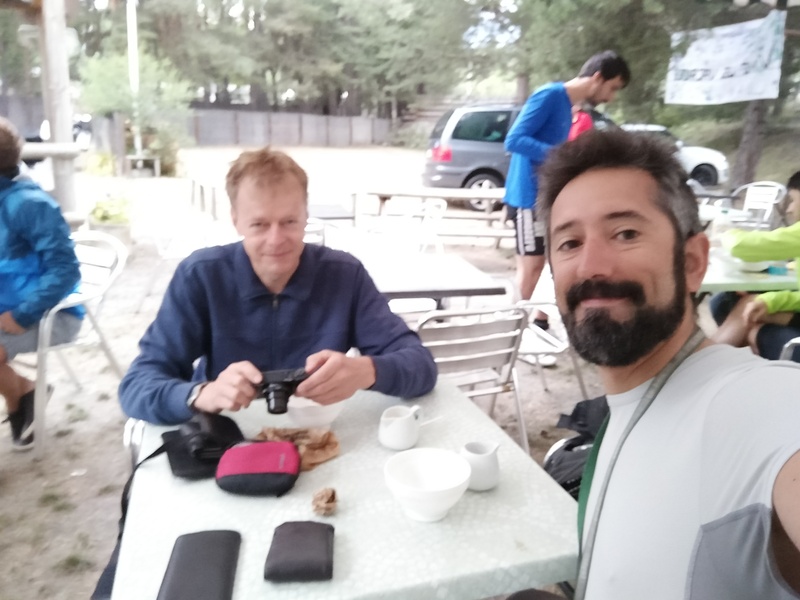 At 10:30 the rain had stopped, the ground was drying and the sky seemed to be clearing, so all the cyclists, hikers and riders who were killing time in the shelter the bar’s covered terrace started to leave. I said goodbye to Harald and thanked him for his company the last two days, and left the campsite. On these few days, I came to the conclusion that traffic across Briançon is always horrible, and even a Sunday morning like today was no exception. To make things worse, I was riding behind a Dutch campervan that completely blocked my view of the street, so I missed the exit I was supposed to take at a roundabout in the centre and had to double back through an alleyway that was closed to all traffic but residents. 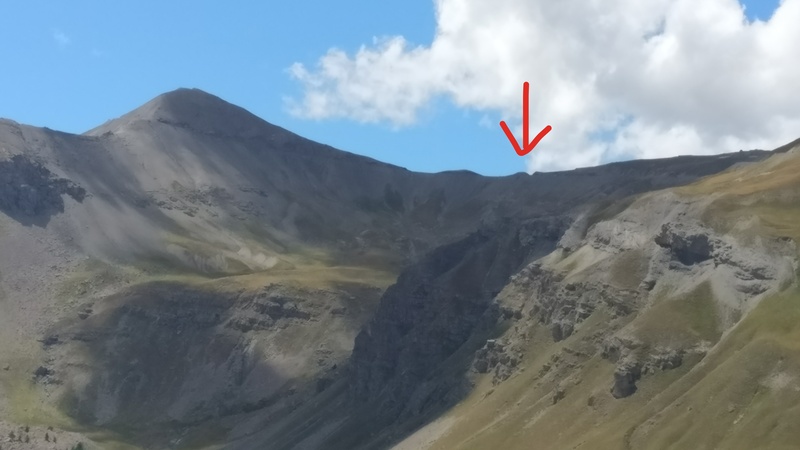 Once out of the city the road started climbing immediately towards Col d’Izoard. It was a very nice road through a forest and the landscape looked much, much more lush and green after the rain. I had to ride carefully, because the road was very wet, and by the time I was halfway up I had to stop to unpack my fleece jumper and put it on, the temperature having gone down to 15 degrees. What a difference from the previous days! When I reached the top of the col the sky was clearing and it offered beautiful views to both sides, with clouds of various shapes rolling off the high peaks. When I was getting ready to leave I met a Catalan couple who were heading north, and they recommended taking the road through Col de la Bonnette and Col du Raspillon. I was following the map of the Route des Grandes Alpes that I had, and those passes were indicated as an alternative route to the main one, which went across Col de la Cayolle, Col de Valberg, Col de Ste-Anne and Col de la Couillole before joining the diversion. I had thought that four cols versus two looked more interesting, but I decided to change the route on their advice. The road went from Col d’Isoard down to Guillestre, and from there on I repeated a section I had done the day before to get to the tunnel du Parpillon, from Guillestre to Col de Vars, down to the Ubaye valley and towards La Condamine-Châtelard, where the road up to the tunnel begins. 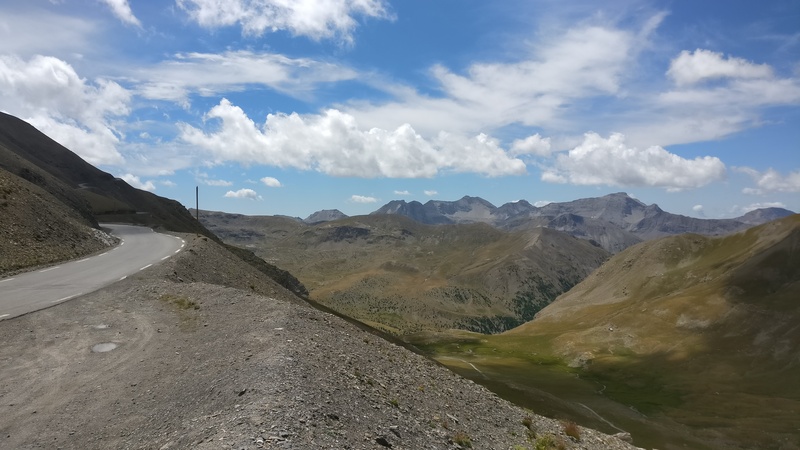 I did not mind at all doing this part again, as it was a very nice road – a fast ascent to Col de Vars where you could have great fun connecting corners on perfectly smoth tarmac and a slower but very scenic descent on the other side. What more can you ask? The Gorges du Guil and the Col de la Bonette, that’s what. The road through the gorges is one of many balcony roads in the country, narrow, winding, cut into the side of the mountain with very low protection walls and space for only one car. Traffic had to stop each time two cars going in opposite directions met and manoeuvre past each other very carefully. Then I left my originally planned route when I reached Jausiers and turned into the road that leads up to Col de la Bonnette. Immediately, something called my attention – just before the intersection and several more times up the road there were signs announcing the col ‘the highest road in Europe’. Wait a second. Just three days ago I was writing here that Col de l’Iseran was the highest road in Europe, was I wrong? Maybe there was an unpaved section, making the Col de l’Isèran the highest paved road in Europe and this one the highest road in Europe, period? But where did that leave Pointe Sommeiller? That was supposed to be the highest unpaved road in Europe! I was confused. My questions were soon forgotten as I enjoyed an epic and seemingly never-ending climb up the pass. 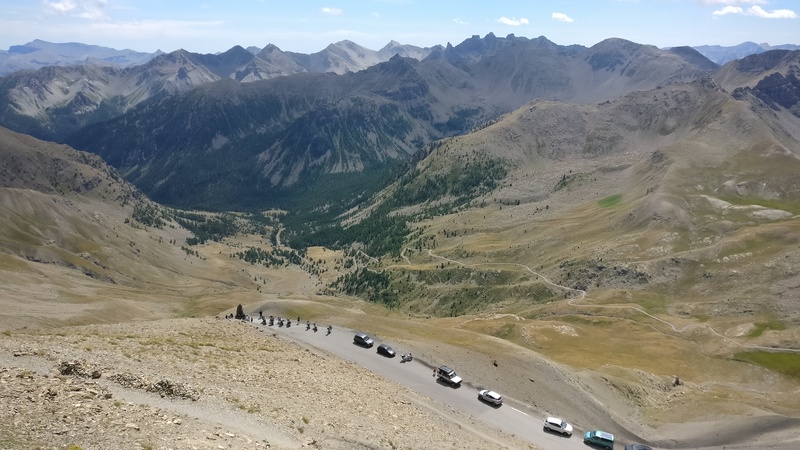 Jausiers is at 1195m, and the pass at almost 3000m, so you can imagine what a road it was. All kinds of corners, grassy plateaus dotted with cattle, great views, several abandoned forts and bunkers… it had everything. When I reached the pass, shorn of any vegetation and windswept, I finally understood what the ‘highest road in Europe’ claim was all about. The ‘highest paved mountain pass’ title belongs indeed to Col de l’Isèran, which is 49m higher. 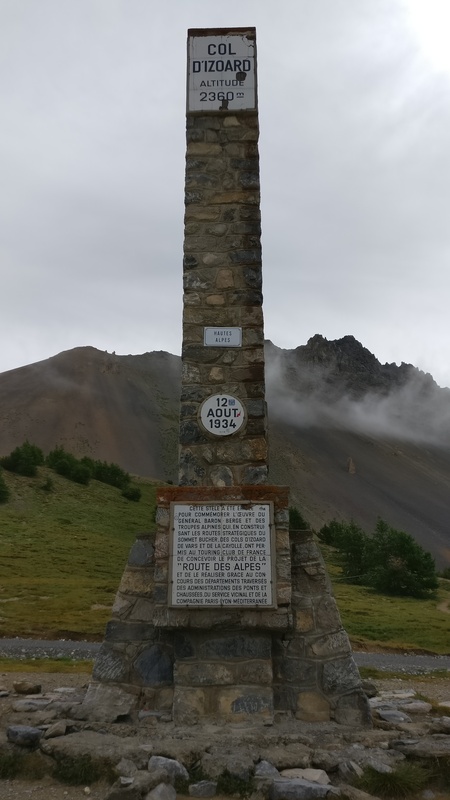 There is, however, a loop road that starts at the Col de la Bonnete and goes around the Bonette peak, reaching 2802m, and thus making it the highest paved road in Europe. 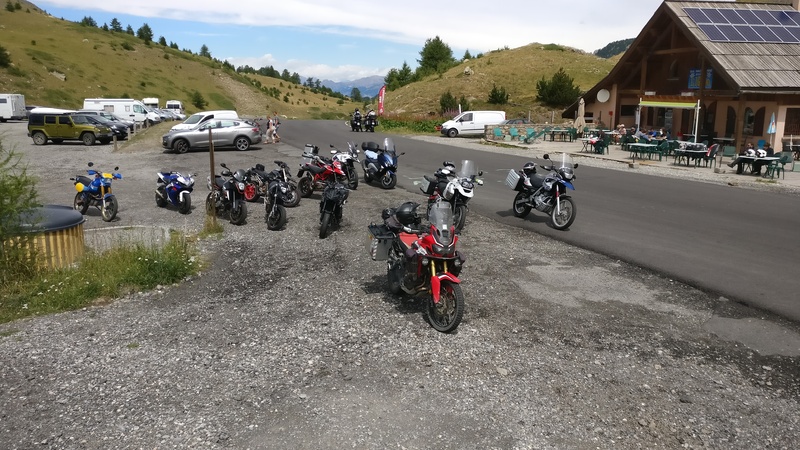 I parked next to many other motorbikes on a tiny space at the side of the road, at the spot where it reaches its maximum altitude, and walked the short hike up the Bonette peak. Dressed in full motorbike gear with heavy jacket, trousers and boots I could feel that the air was thinner up there, but the effort was well worth it – from the top of the peak you get unobstructed 360 views over the Alps as far as the eye can see. I rode down the other side of the road back to the col and continued the route towards the next pass, Col du Raspillon. Unfortunately, this turned out to be another of those passes that connect the end of a valley with the beginning of a higher one, not a pass high in the mountain between valleys, so I missed it once again. As the road went down to St-Étienne-de-Tinée the temperature went up mercilessly. It was not even a progressive change, I was riding at a very nice temperature, enjoying the views over the river Tinée when suddenly, out of a corner not far from the village, I felt a wave of hot air hit me in the face as if I had just opened the oven to check on my pizza. By the time I was in St-Étienne I could not take it any longer and I had to stop and open all the vents in the suit. Things did not get any better further on, and when I turned off the main road to start the climb towards Col de St-Martin I could not even see the road properly, as the heat and the sweat had made my contact lenses greasy. I stopped to clean them and rest for a while, and with much better vision I was able to enjoy the ascent up the pass. The fun did not last long, however. Back down in the valley towards La Bollène-Vesubie the heat was becoming unbearable, and I was already quite tired. The ride up the last pass of the day, Col de Turini, was interesting, with a more Mediterranean landscape that was a nice contrast to what I had seen in the last few days, but I was not really enjoying it. 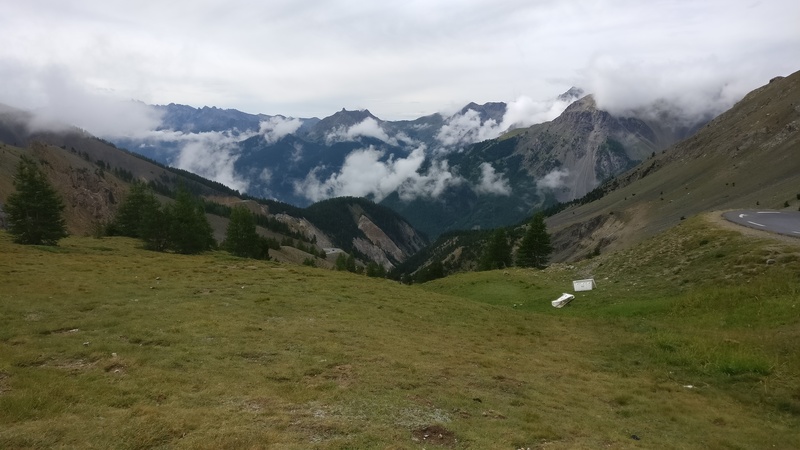 I felt as if it took me forever to reach the top, and I was worried that I might have to ride for a long time before finding a campsite on the way down the other side, as the area looked very sparsely populated. When I got to the col I found not one, but three hotels. It seems that it is quite an important crossroads. As I was sitting under an umbrella in one of the hotels terrace drinking a cold coke I was sorely tempted to blow the budget for the day and take a room right there, but then the waiter told me that there were two campsites in Moulinet, the first village down the road, only 12km away. I was feeling much better after the rest and the coke and the way down was through a thick forest, which helped a lot with the temperature, so I enjoyed these last few kilometres. I almost missed the entrance to the campsite, as it was a narrow and very steep driveway up to the right of the road and there were no big signs. The place was called La Ferme, at that was exactly what it was – an old farmhouse with four or five terraces where you could put up a tent. 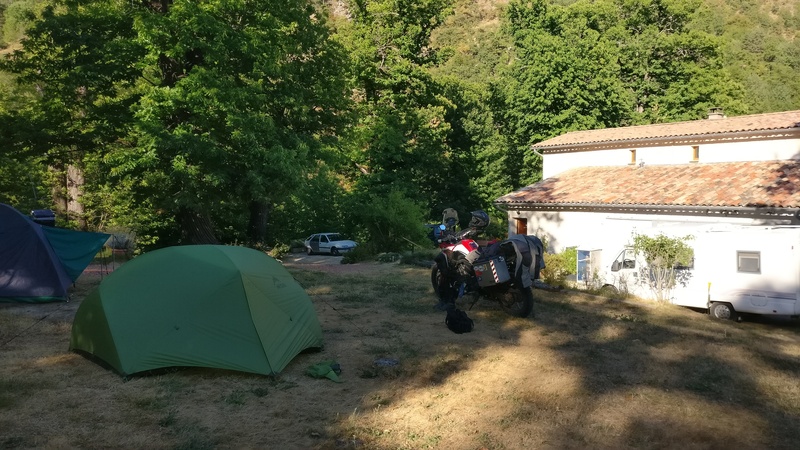 I doubt that a campervan, let alone a car towing a caravan, could make it up the driveway to the campsite and even less turn around to leave again, so the only other people there were a German biker a German couple with a car and a tent and a French couple with a small Citroën van. I put up my tent near the German biker, who turned out to be one of the very few people in Germany who did not speak any English. There was only one more col to go before reaching the coast and, with a few days of holidays still left, I toyed with the idea of taking two days to go back to Barcelona and avoiding the motorway, but today I learnt the hard way that it is much too hot to enjoy a route anywhere but high in the mountains, so I decided to get up very and take the autoroute. 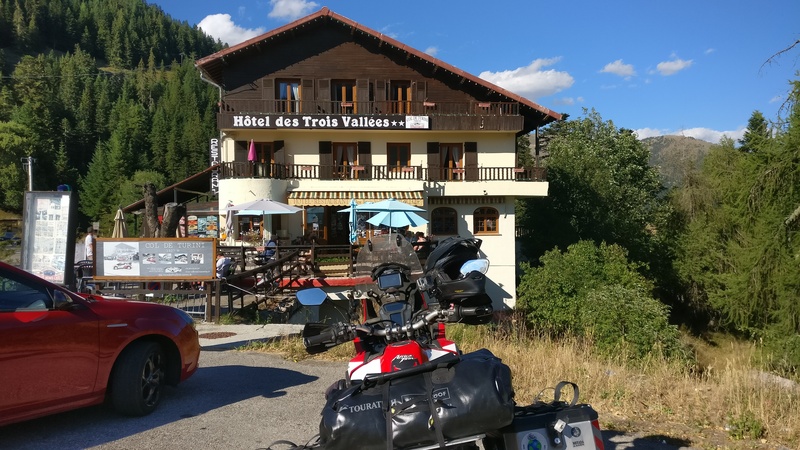 This entry was posted in Route des Grandes Alpes 2017, Travel and tagged Col d'Izoard, Col de la Bonnette, Col de St-Martin, Col de Turini, Col de Vars, Col du Raspillon, Honda CRF 1000L, Route des Grandes Alpes by Kilian. Bookmark the permalink.